How to watch Bodyguards: Secret Lives from the Watchtower (2016) on Netflix Netherlands! Yes, Bodyguards: Secret Lives from the Watchtower is now available on Dutch Netflix. It arrived for online streaming on October 4, 2017. We'll keep checking Netflix Netherlands for Bodyguards: Secret Lives from the Watchtower, and this page will be updated with any changes. 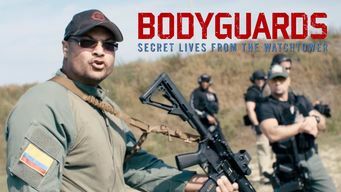 The world of personal bodyguards who provide security for celebrities and politicians is explored in this documentary narrated by actor Kim Coates.